Three heavy hitting Australian marketing leaders - Karen Ganschow, Suzana Ristevski and Analisa Kirby - are joining NAB’s marketing function as part of an aggressive expansion of the banking group’s customer leadership team. Ganschow, Westpac’s former general manager of customer relationship management and digital, has signed up to NAB’s marketing leadership team as general manager of consumer marketing and customer strategy. 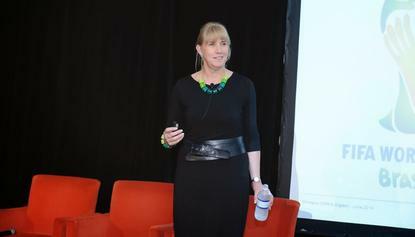 Prior to her more than five years at Westpac, Ganschow led mobile and Internet customer value propositions at Optus. She’s also a board member and former chair of ADMA. Ristevski joins NAB after more than 12 years with GE, where she was most recently the head of strategy and growth and CMO for Australia, New Zealand and Papua New Guinea. During her time with the group, she held a number of marketing roles across financial services and the wider engineering and manufacturing business. She takes up the new role of general manager of business marketing and customer strategy at NAB. Ristevski was listed in the CMO50 of Australia’s most innovative marketing leaders in both 2015 and 2016. The third new recruit is Kirby, who was most recently general manager of product, marketing and communications at QIC. Prior to this, she worked for 12 years at AMP Capital locally, as well as Henderson Global Investors in London. Her new role at NAB is general manager of intermediary marketing, which has responsibility for financial advisers and brokers. NAB CMO, Andrew Knott, said the trio of women were highly experienced marketing leaders who would bring their clear passion for marketing and for customers to NAB. “We’ve gone for the best of the best in their respective fields, and I’m very excited to see each of these marketing leaders join the NAB Marketing team,” he said. The roles represent a restructure of the wider organisation instigated by NAB last year to become more customer focused. This saw the group replace several divisional heads with chief customer officers and reshape the look and feel of its business and personal banking functions. Among the key changes was a new customer-facing business unit, entitled Corporate and Institutional Banking, which unites the corporate and institution business components of NAB’s former Business Banking division, with fixed income, currencies and commodities and capital financing from its Products and Markets division. Personal Banking was also rebranded to Consumer Banking and Wealth Management, and will include the Personal Banking network, NAB’s digital-only banking group, UBank, and distribution elements of its wealth management offering. The old Business Banking division, meanwhile, became Business and Private Banking and has an emphasis on SME customers. Products and Markets also morphed into Customer Products and Services, encompassing Banking and Wealth products, strategy, digital, NAB Labs/Ventures, marketing and corporate affairs. Other senior marketers on Knott's team are GM of brand experience, Michael Nearhos; GM of customer data and analytics, Patrick McQuaid; and head of marketing planning and operations, Dylan Keith. A spokesperson said the function is also now looking to find a new GM digital marketing experience and innovation. Knott, who joined NAB a little over a year ago, kicked off an ambitious rebranding strategy in July last year aimed at reinforcing the banking group’s customer-first message to market. The ‘More than Money’ national campaign is the first major brand overhaul for NAB in six years and encompasses the full suite of channels, including TV, digital, social and outdoor.